For anyone who has ever posted a video online, the goal has likely been the same—get as many views as possible. Whether it’s a video embedded on your businesses website or directly to video sites like YouTube or Vimeo, the hope is to spread that message as far as it can possibly reach. It’s not enough for the video to just be good, however; even great content can get lost in the shuffle. For your video to be seen by the masses, it’s crucial to optimise it for a higher search engine result and that includes a number of different approaches. Google can’t tell what your video is about just by uploading it. In order for it to appear on a SERP, you have to provide a description that will help the search engine sort it accordingly. The more accurate the description, of course, the better the results will be. When you’re writing it, be sure to include important keywords, especially ones you think others may use to find a video such as yours. Even including them in the title will go a long way in helping to increase the visibility of your video. Furthermore, include a link to your website at the beginning of the description so viewers will know exactly where to go for more. Google search results favour YouTube videos. After all, YouTube is owned by Google, so it only makes sense they’d want to promote their own site at the top of a SERP. If you’re a long-time user of YouTube, you may already be familiar, but creators can actually include their own thumbnail for the video, rather than relying on a still generated by YouTube. An eye-catching thumbnail will help make your video stand out, but don’t use the same one for two different videos—it’s important that each one is unique. Videos with high view counts appear at a higher ranking than those will low views, so it’s important to generate as many as possible early on. Thankfully, this can be accomplished for free with a little self-promotion. Use social media, like Twitter, Facebook, LinkedIn or Google+, to share your content with friends or followers. Not only will you get their views but they may even share it with their own followers. In order to get people engaged with your video content, it’s crucial to not only make your video visible to the public but to allow user comments, likes, video responses. This helps to create a discussion and gets people talking about your content, and if they’re interested, they can share it with others. 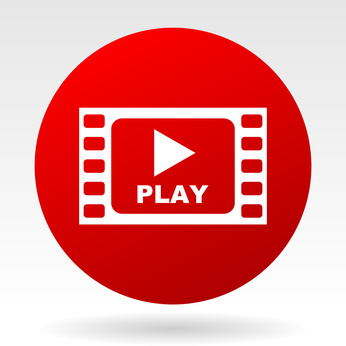 By allowing embedding of your videos, others can then post your video to their blog or website to increase views in ways you just can’t do alone. This entry was posted in Video and tagged optimising, Video, youtube, youtube marketing, YouTube video on April 28, 2017 by Pinnacle.